Very Good News! 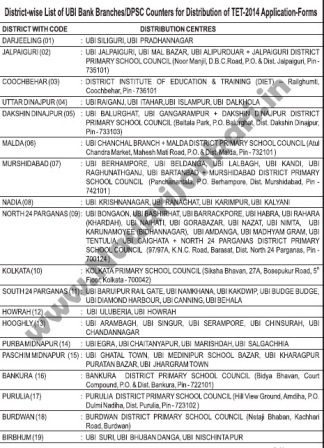 West Bengal Board of Primary Education (WBBPE) has issued official notification for Primary TET 2015 registration for fresher aspirants. The written exam will be held on 30.08.2015. The application forms are available from some selective branches of United Bank of India (UBI). Eligibility: Must have passed Higher Secondary/ equivalent exam with minimum 50% marks (45% marks for SC/ ST/ PH). TET-2012 Candidates who already confirmed their candidature and downloaded acknowledgement card, need not apply again. Candidates who applied in 2014 and also confirmed candidature and downloaded admit card, are not required to apply again. Candidates who will apply from any district and if qualified, they will get TET pass certificate and can apply for any district. Candidates who lost their 2012 TET admit card/ acknowledgement card, but have photocopies of the same, are not required to re-apply. Necessary instructions will be available soon. The forms will distributed from 29th June to 4th July, 2015. So friends, don't waste your time. Rust to the designated UBI branches and collect Primary TET 2015 forms. Keep checking our website regularly for more updates. 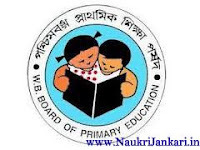 0 comments for " WB Primary TET 2015 Application Form for Freshers "